Want to live a life of luxury in Europe, without a Monaco budget? It’s possible. Dateline: Tokyo, Japan It’s no secret to those that know me that I like traveling in luxury. I’ve never subscribed to the backpacker/digital nomad mindset of slumming it in hostels and cutting costs wherever possible. I prefer to work from settings where I know that I can maximize my productivity because my surroundings are peaceful and all the amenities I would need to tackle the day’s activities are readily accessible. And the more I work with folks at the seven-figure income level and higher, the more I realize that I am not alone in my desire for luxury settings and five-star service. But I still can’t deny the little rush of satisfaction I feel when I get a good deal. It is one of those permanent marks of my American upbringing that lingers even after a decade of global living. But good deals and luxury are not mutually exclusive – you can have them both. And, while I have enjoyed fantastic stays at five-star hotels for astoundingly great prices in the emerging world, I have learned over the years that not everyone is as eager as I am to travel to the farthest reaches of the world. My journeys are investments in knowledge as I scout out the best opportunities for business, banking, and investment. Being able to stay at an affordable five-star hotel while I did so was just a plus. Many of the people I help each month, however, aren’t necessarily looking to move or even spend time in places like Laos or Lesotho. They don’t want to live in the United States, Canada, or Australia anymore, but they don’t want to leave the developed world either. 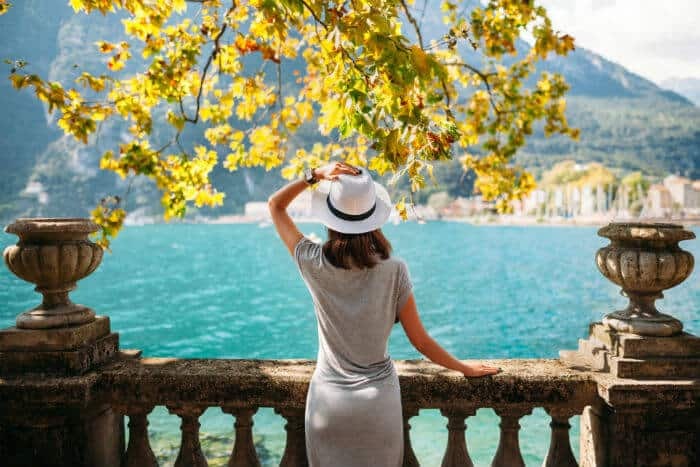 The good news for these folks is that, despite the higher cost of living in some European countries, there are still many affordable options for luxury living throughout Europe. Living and traveling through Europe is a dream for many people. 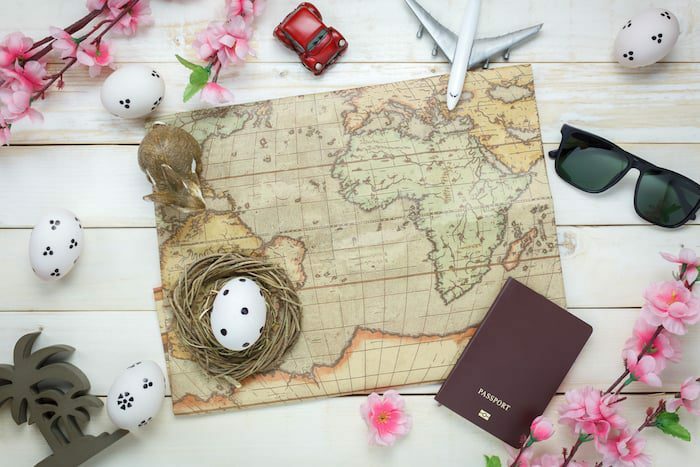 The entire continent is saturated with culture and history that you can experience through stunning architecture, countless museums, and famous cultural sites. The continent also boasts everything from Mediterranean beaches to Alpine skiing and from big-city living to rural retreats. Though small, Europe is diverse enough that most anyone can find the ideal place for their dream lifestyle. And now, thanks in part to the continuing weakness of the euro, it is more affordable than ever to live in Europe. You can find properties to rent for less than $600 a month in many places and homes available to purchase for less than $100,000. Food is cheap as well, and you can pay $10 or less for everything from three-course meals to bags of fresh produce. Not every location in Europe offers up the same great deals though. That is why I’ve put together the following list of the seven best cities in Europe to live in luxury on the cheap. While I have my personal favorites, you’ll find the cities are listed in alphabetically order instead of the standard ranking system. Each city has its own perks and it’s up to you to decide which one is the better deal and, more importantly, the right fit for you. The cost of living in Greece is incredibly affordable, while the living standard is admirably high. It’s a great combo. While Athens has one of the higher costs of living among the countries on this list (with a Cost of Living Index score of 122, making it more than double Tbilisi’s score of 60), lumping it in with the other overpriced countries in Europe would be a big mistake. Greece, as a whole, is more affordable than most people would believe, and even the country’s touristy capital of Athens is more affordable than what you would expect, especially taking into consideration all that Athens has to offer. Athens is one of the oldest cities in the world; a center of art, culture, politics, and philosophy that has had a large influence on many other countries in Europe and throughout the world. The country also has great weather year-round, a rich history, beautiful architecture, and the people are friendly and warm. There are many reasons why people choose to visit Athens. The good news is that you can do so and enjoy a luxurious stay for a fraction of the cost you would pay in many other European cities. The average price of a five-star hotel room, for instance, is just $166 per night. In fact, the cost of living in Greece is one of the lowest in the European Union – at least 30% less than many places – and the standard of living is very high. The biggest places you’ll experience affordable prices are in housing and food. Rent is low and, while I would never choose to make Greece my permanent base because of the taxes, if you decide that Athens is the place for you to settle down, you can find very affordable housing throughout the city. In fact, if you purchase a property for 250,000 EUR or more, you will qualify for automatic permanent residency in Greece. Food is also abundant, delicious, and generally very cheap throughout the streets of Athens. While Greece has some of the highest VAT rates in the EU thanks to austerity measures, the VAT rate for food is much lower and it is easy to enjoy the wide range of locally grown produce for considerably low prices. 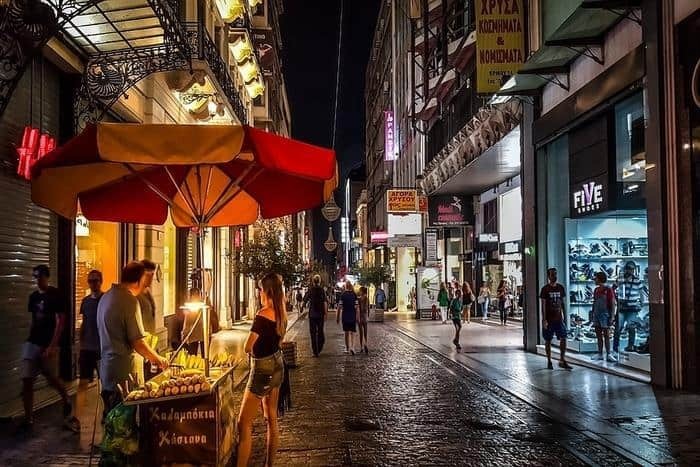 Athens is ranked 83rd of 100 cities in our Nomad Quality of Life Index, with its greatest perks being its relatively low cost of living and the very friendly and open people. The great weather and rich history are the cherries on the top! Great hotels – check. Beautiful city – check. Amazing food – double check. Welcoming people – you bet. 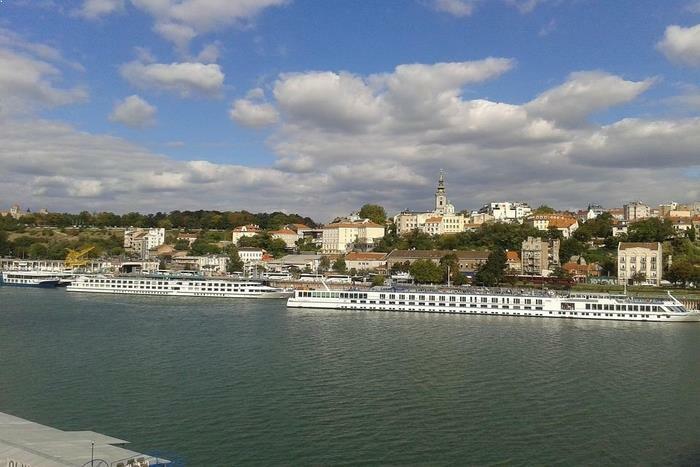 Belgrade ticks all the boxes for living luxuriously while paying little. While the cost of living in Athens is quite low, it is nothing in comparison to the type of luxury you can afford in Belgrade, Serbia. Of the 100 European cities ranked by Expatistan (1 being the most expensive and 100 being the least), Belgrade came in 85th, which is an impressive score considering the level of development, charm, and luxury you can find in this beautiful city. I have always loved Serbia for planting flags. 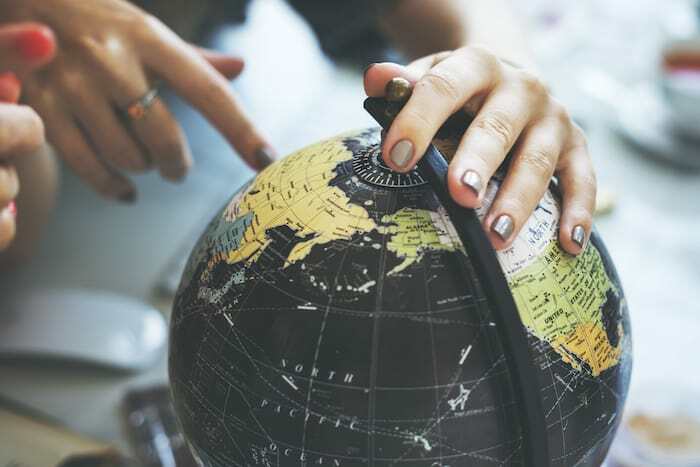 The country has a debt-to-GDP ratio just half of US levels, and the 15% flat tax and low-priced, efficient talent for hire there means it’s a decent place to do business. I had visited Belgrade a number of times and was enchanted by the city, but it wasn’t until I decided to spend a full three months there that I really came to appreciate the high level of living Belgrade offers. Belgrade is an especially great city to live in for single men and women, with lots of very attractive, fun people. The city is one of the most underrated European capitals with a unique vibe, a great entertainment culture, friendly people, delicious food, all four seasons, and a fantastic cost of living. Belgrade offers up numerous five-star hotels with professionally trained, English-speaking staff ready to provide all the information you need and to pamper you with every service available. My favorite hotel is the Metropol Palace that can cost you anywhere from $165 for a classic room to $1300 the presidential suite. Serbia’s food is also one-of-a-kind and it is both abundant and affordable. Serbians simply couldn’t imagine a single day without a good meal and they are very talented at whipping up delicious plates in the many restaurants and cafes throughout the city. You can also find local produce and other foods at great prices. Belgrade comes in 25th out of 100 in the Nomad Quality of Life Index, with factors like the incredibly low cost of living, relatively high safety rankings, and the generally warm and friendly people (especially for Eastern Europe) all contributing to the city’s appeal. There’s no price on the beauty and cultural heritage you will find in Krakow, but what you do pay for will be affordable, yet still of high-quality. Not far behind Belgrade, Krakow, Poland was ranked 81st out of 100 European cities in terms of cost of living (where higher scores mean a lower cost of living). On the whole, Poland offers one of the best values for living in Europe – but it does so without losing the luxury amenities that make a life of travel more enjoyable. 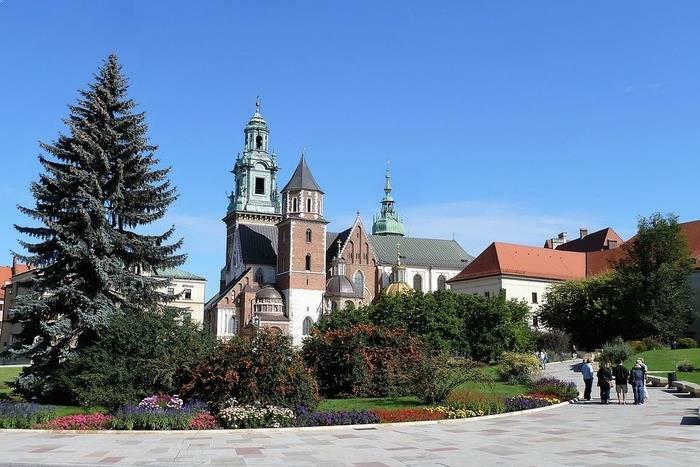 Krakow is a beautiful city with deep cultural roots, warm locals, and amazing food. Even better, it offers all of this at affordable prices. I once stayed at the upscale Westin Warsaw and it only cost me $64 a night. While Warsaw isn’t much pricier, Krakow is worth a visit to see the charming architecture, beautiful parks, and breathtaking views of the river from the city’s ancient castle. Most Polish cities could have made this list as well. Poland is a great country overall for European luxury and charm at a fraction of the cost you’ll find in places like France, Great Britain, and even Germany next door. Student-friendly Wroclaw is also a great place to live but lacks the gorgeous sights Krakow offers. And Krakow has a lower cost of living than both Warsaw and Wroclaw. The city is a bit isolated, reducing Krakow’s accessibility score on the Nomad Quality of Life Index to a measly 23.72, but the cost of living is about as low as it gets, especially considering that you do not have to sacrifice any of the luxury amenities that improve your life. 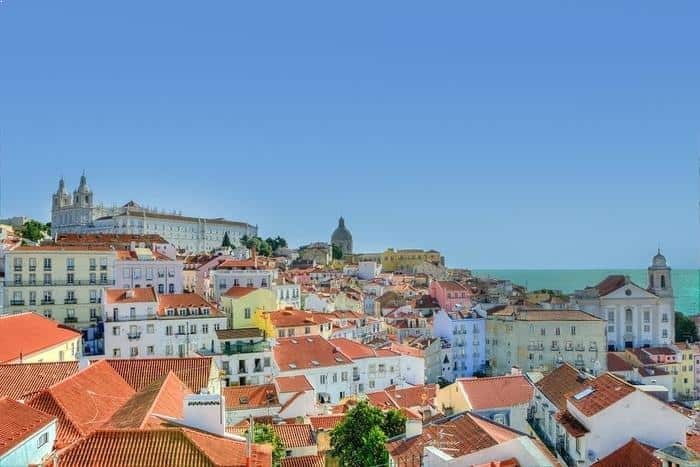 It’s hardly a wonder that so many expats rush to Lisbon – the ocean is there, along with the beautiful coastal atmosphere, and let’s not forget the appealingly low cost of living. Lisbon is one of the oldest cities in all of Europe and is such a great deal all around that it made it into the Top 5 of our Nomad Quality of Life Index here at Nomad Capitalist. While the cost of living is more on par with prices in Athens, the overall Nomad Score of 80.7 means that Lisbon is not just great for cost of living but also the working environment (with great co-working spaces), accessibility, safety, entertainment, and the locals’ friendliness and openness. It is for these reasons and more that Lisbon has already established itself as a favorite European hub for expats. Lisbon’s location on the coast of the beautiful Atlantic Ocean only adds to its rising popularity. And, to top it all off, Portugal is friendly to investors, offers a relatively easy path toward achieving EU residence, and even gives Nomad Capitalists the option to pay zero tax through non-habitual residence. Lisbon also made it onto our list of the safest cities for nomads and expats and is also one of the friendliest countries for gay (LGBT) nomads. All of Portugal is safe and easy to get around and most people speak English in Lisbon, which also helps with navigation to all the great sites and destinations you will want to visit in the country. Lisbon is one of the best European cities for value and has a relatively low cost of living. Even five-star hotels are relatively cheap at $180 per night. You can get a nice city center apartment for as little as 500 EUR a month, giving you quick access to all the fantastic food and entertainment in the city. Lisbon also has a small airport that has flights to cities around the world, making it a great destination for someone who wants all the comforts and conveniences of Western European living and worldwide travel along with lower costs and a slower pace of life. Porto is warm, scenic and very reasonably priced. There’s always something to do there and no matter what you want to experience, it won’t cost you a lot. Portugal is such a great value that a second Portuguese city made this list. Porto came in 13th overall on the Nomad Quality of Life Index thanks to its low cost of living, relative safety, great entertainment, and the warmth and openness of the locals. Like Lisbon, Porto is located along the coast of the Atlantic Ocean but still has that Mediterranean feel. You could spend your days visiting the city’s many beautiful bridges or enjoy a wine tasting at one of Porto’s world-famous wineries as I did with a close group of friends for my birthday this past year. The cost of living in Porto is extremely reasonable. You can stay at the Old Royal Palace of Bucaso – or many other five-star hotels like it – for under $100 a night or get an apartment for roughly the same 500 EUR you would pay in Lisbon. Food is also first-class and yet more affordable than what you’ll find in the rest of Western Europe. 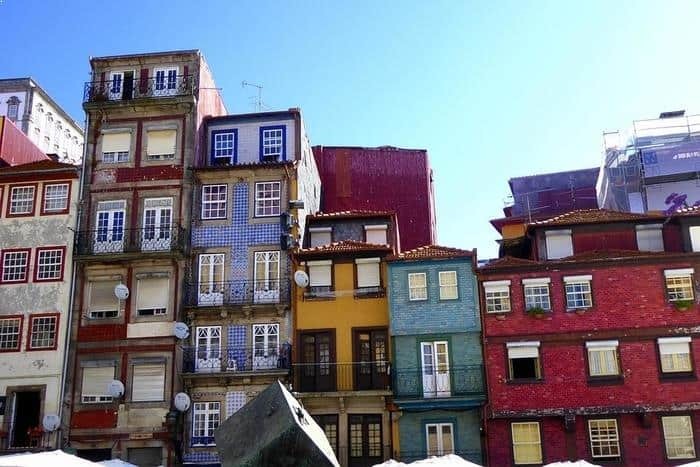 Porto (really Portugal as a whole) is the perfect mix of the nostalgic old-world that draws so many of us to Europe to begin with combined with modern conveniences like free Wi-Fi in public areas, modern malls, comfortable transportation throughout the city, luxurious hotels and more. The only thing you’ll have to get used to are the cheap prices you’ll pay for it all. Prague is one of the safest places on the planet and it’s moderately cheap since they still use Czech koruna. Travelers from all over the world love the mix of old-world charm and modern entertainment available in Prague. While I didn’t think the city lived up to all the hype, it is certainly beautiful. If Prague’s nightlife and tourist scene fit your definition of luxury, though, the city may be your perfect affordable European city for luxury living. Prague is home to stunning architecture, a vibrant music and entertainment scene, any type of food you could dream up, and an international vibe that feeds off the expats that pour into the city from all around the globe. Like Poland, since the Czech Republic uses its own currency, prices are much lower than elsewhere in Europe. The average price of a five-star hotel is $220 a night, or you could double that and get an apartment for $400-$500 for the whole month. Prague is one of the most-visited cities in Eastern Europe and also one of the safest in the world. 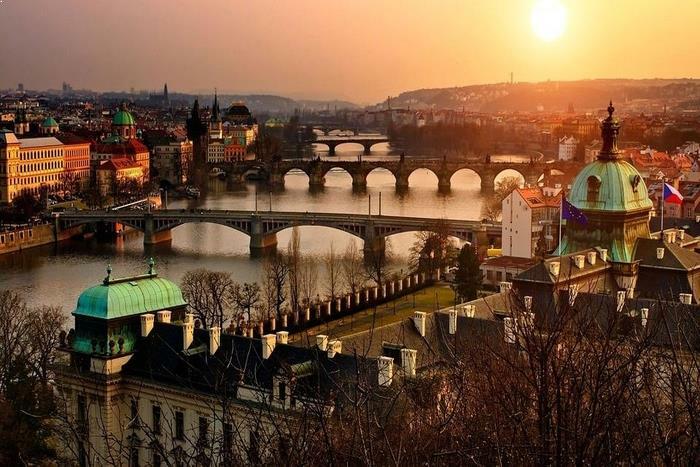 For as many people who visit Prague each year, the low cost of living is a pleasant surprise, especially for those of us who like to maintain a higher standard of living. All of these factors combine to place Prague at number 44 on our Nomad Index of the best cities in the world for nomad and expats. 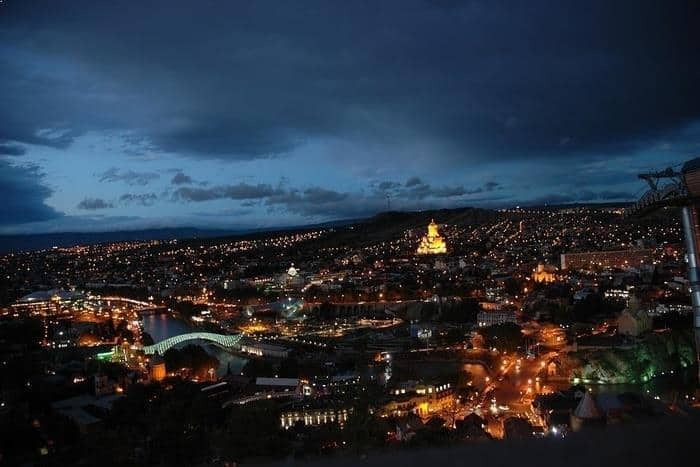 You can live very comfortably in Tbilisi for a fraction of the price you would pay in Western countries, not to mention that it’s a great place for doing business too. A hidden gem, indeed. Georgia is my personal choice for investment and living so you can be sure that it meets all my standards for luxury living. Not only can you attain a high standard of living in Tbilisi but everything just comes so effortlessly in Georgia. Of all the cities in the Nomad Quality of Life Index, Georgia has the lowest cost of living. And, while Expatistan lists Georgia as a Middle Eastern country instead of a European one, it comes in at 22 of 22 Middle Eastern countries for the cost of living. It really doesn’t get better than Georgia when it comes to indicators like cost of living, safety, and many more. In fact, this hidden gem came in 8th place overall on the Nomad Index simply because it scored so well on so many different indicators. I have long spoken of Georgia as the “next America” because it follows the same open market principles that contributed to America’s progress so many years ago. Not only are there opportunities to invest in the tourism industry, open a bank account and start an offshore company but the cost of living is affordable, the streets are safe, and it’s a great, friendly place to live. And, in terms of luxury, as Tbilisi continues to grow, more five-star hotels become available. As I have traveled to more and more places, I have found that luxury living is not as unattainable as some would think. However, as I look to travel less, it is good to have my “go-to” places where I know I’ll enjoy the quality of living I expect, where luxury is plentiful, and the service is exactly what I need. This is the first time i’ve come across your website and I really love your stuff. Your writing is clear, concise and flows beautifully. Your recommendations are even better! Thanks for taking the time to write this piece. $500 bucks a month to live in beautiful places in Europe is a steal — really opened my eyes. I live in the UK and own a blog that is slowly but steadily growing. At the moment i’m incorporated here with a limited company but know there are way better options out there in terms of tax and investment opportunities. You’ve just gained a new follower. What a gem of a website! Great stuff, I really liked it. I’m looking to move to U.K. can someone contact me with some great insight on how to go about it ?